"The Wounded Warrior Amputee Football Team is a remarkable example of human spirit and positive attitude." ST. PAUL, Minn.--(BUSINESS WIRE)--The Wounded Warrior Amputee Football Team (WWAFT) and its chief co-sponsors - leading health and well-being company Humana Inc. (NYSE: HUM) and leading natural pet food company Blue Buffalo (Nasdaq: BUFF) - are proud to present the WWAFT's seventh annual pre-Super Bowl flag football game featuring military veteran amputee athletes and former National Football League (NFL) players. The game will take place on January 31, 2018 - just prior to the Minneapolis-hosted Super Bowl LII - at Concordia University in nearby St. Paul, Minnesota. The WWAFT is comprised of military veterans from across the country, all of whom lost a limb while serving in Iraq or Afghanistan. WWAFT’s mission is to highlight the perseverance of America’s active and retired service members, and to raise awareness and support for wounded warriors and their families. Among the players will be Veteran Marine and former Concordia University defensive end Hank Goff. The veterans will play against a roster of notable former college and professional football players, including NFL alumni such as Rocky Bleier (Pittsburgh Steelers); Ron Jaworski (Philadelphia Eagles); Jerry Kramer (Green Bay Packers); Hall of Famers Charles Haley (San Francisco 49ers and Dallas Cowboys) and Jack Youngblood (Los Angeles Rams); and former hometown Minnesota Vikings quarterbacks Rich Gannon and Sage Rosenfels. This is the fifth consecutive year that Humana has been a lead sponsor of the WWAFT pre-Super Bowl game, part of the company’s long-standing commitment to America’s military. 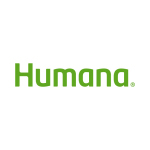 Humana provides health benefits to six million U.S. service men and women and dependents as the managed care support contractor for the TRICARE East Region; and through its Veterans Hiring Initiative, the company has hired more than 4,000 veterans and military spouses since 2011. Joining Humana as the game’s lead co-sponsor is a leading natural pet food company Blue Buffalo, dedicated to making the healthiest pet food possible; finding a cure for pet cancer; and supporting America’s military veterans, including raising awareness and funding for service dogs. These canine companions are invaluable in helping those who served re-establish productive lives in this country, and are specifically trained to aid veterans with PTSD or balance issues, and who have lost limbs or have sight or hearing loss or impairment. Established in 2012, the WWAFT record in pre-Super Bowl “Tribune to Heroes Game of Honor” games stands at an unbeaten 6-0. Additional game sponsors include Blimpie; Cold Stone Creamery; Grunt Style; FASTPORT; Sanford Health; and Winkley Orthotics & Prosthetics. The Wounded Warrior Amputee Football Team’s (WWAFT) mission is to raise awareness and support for our wounded warriors and their families. The team is made of up service members who have served and are now using a prosthetic device to engage in everyday life activities. By showcasing our team on the football field, the WWAFT seeks to inspire our fans and highlight the perseverance of our service members (both active and former) who continue to face life’s challenges without excuses. The WWAFT visits various cities across the country and endeavors to play exhibition games with current and retired professional athletes. Taking on the best athletes is well within the scope of the WWAFT and emphasizes the fact that all veterans are able to contribute at home, ready to excel in the work place and continue to be great patriots and ambassadors for best country in the world. For more information, please visit www.wwaft.org. Blue Buffalo, based in Wilton, CT, is the nation's leading natural pet food company, providing natural foods and treats for dogs and cats under its BLUE Life Protection Formula, BLUE Wilderness, BLUE Basics, BLUE Freedom and BLUE Natural Veterinary Diet lines. Paying tribute to its founding mission, the Company, through the Blue Buffalo Foundation, is a leading sponsor of pet cancer awareness and of critical research studies of pet cancer, including causes, treatments and the role of nutrition, at leading veterinary medical schools and clinics across the United States. For more information about Blue Buffalo, visit the Company’s website at www.BlueBuffalo.com.